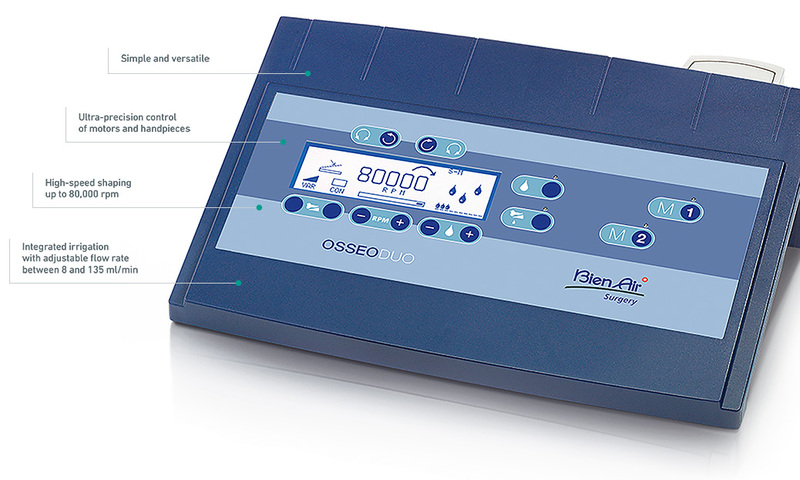 The unique system developed by Bien-Air Surgery meets the highly stringent requirements inherent to the field of cranial surgery. 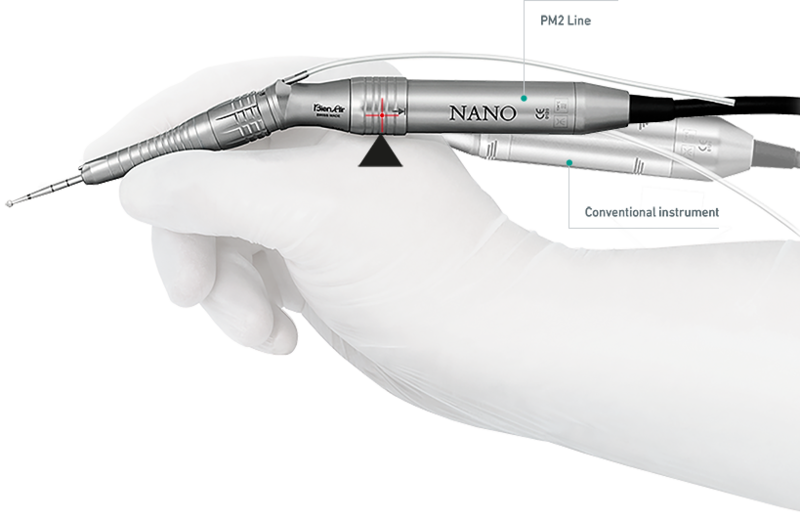 Exceptionally versatile – with a choice between the PM PERFO perforator and the NANO or RAPIDO motors – this solution easily adapts to every stage of your procedure, from perforation of the skull to the most delicate operations. Take advantage of the very latest technology developed by the Swiss brand. 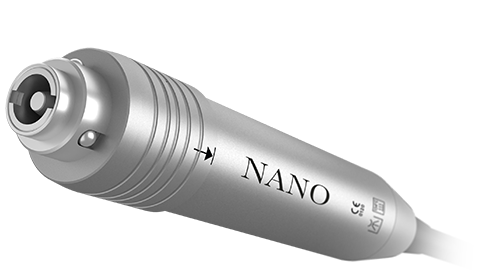 The NANO micromotor is compact, lightweight and extremely quiet. It guarantees high speed, remarkable torque, excellent ergonomics, and less fatigue at the end of each surgical procedure. 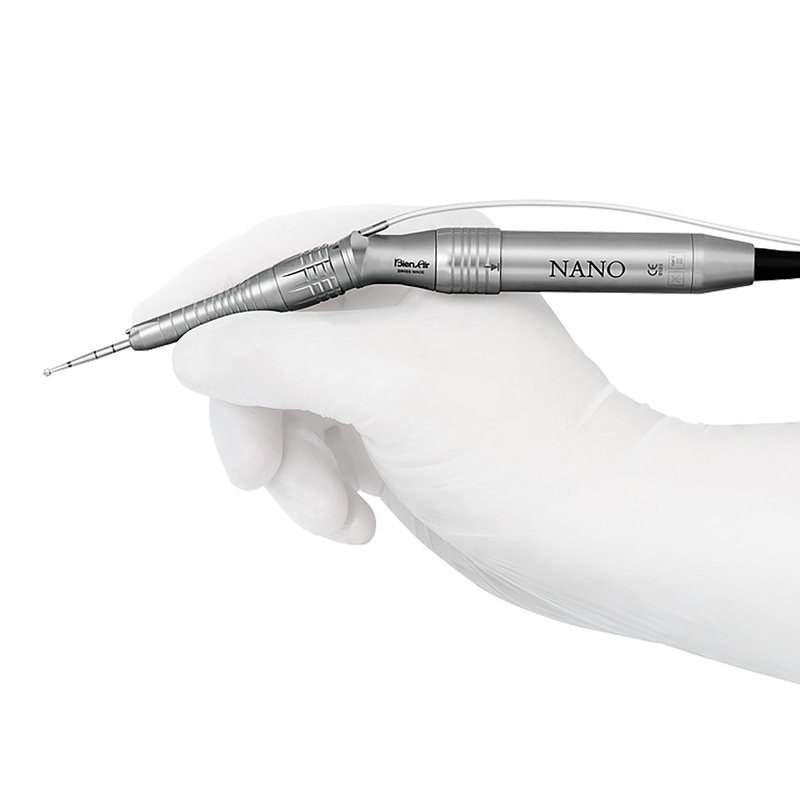 The versatility and power of the NANO makes it a surgeon's choice for excellence. 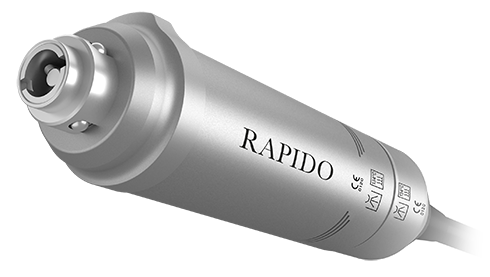 A powerful, ventilated micromotor with exceptional torque, the RAPIDO provides unbeatable cutting performance even in the most challenging surgical situations. The directional self-ventilation guarantees low operating temperatures, consistent performance and comfortable use during long procedures. 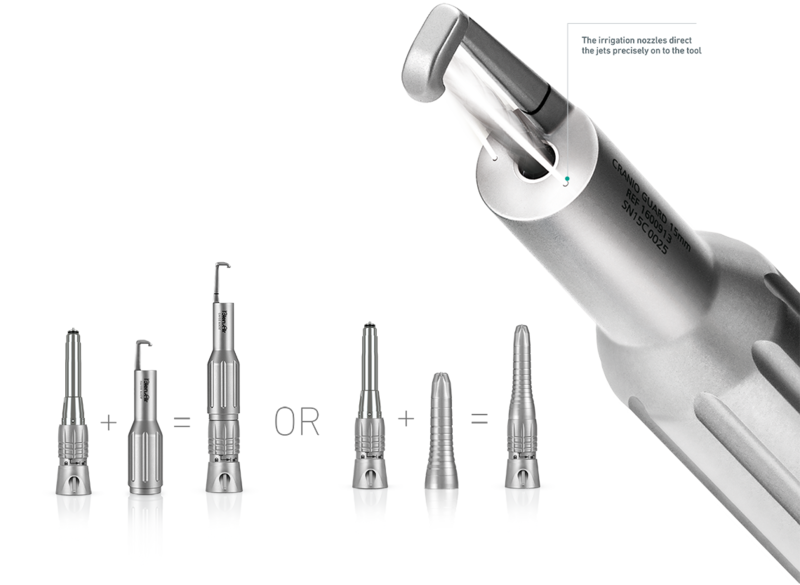 The PM PERFO handpiece is impressively efficient. 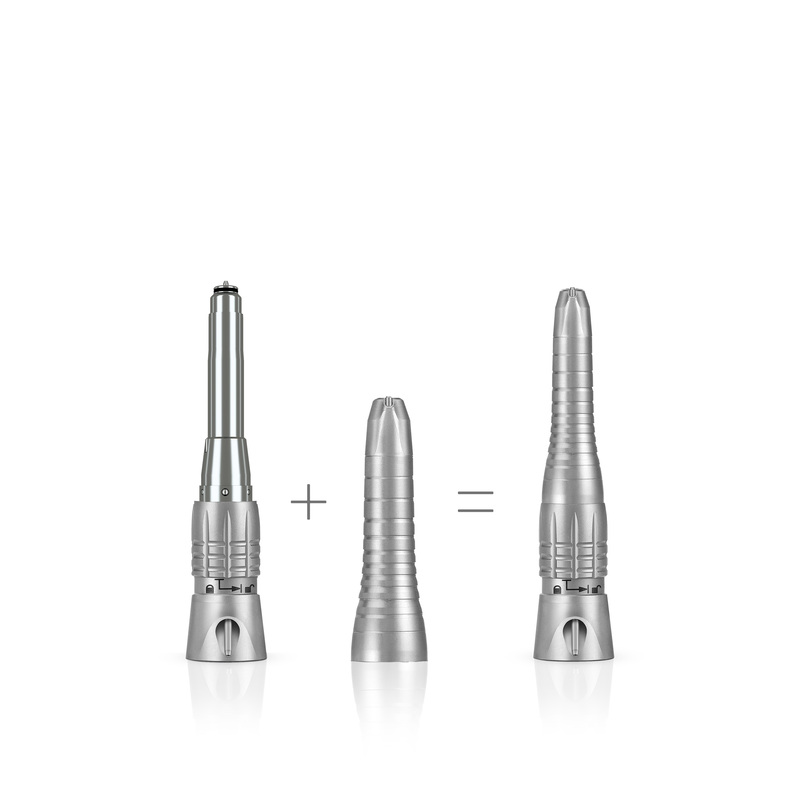 Its phenomenal torque combined with perfect ergonomics provides power and control during trepanation procedures even in the most difficult cases. Greater Power and More Torque. The major attribute of Bien-Air micromotors is the elevated power output that creates constant torque and high speed for greater performance in surgical procedures. The PM2 micromotor/handpiece coupling is easy and intuitive resulting in a quick and hassle-free assembly and disassembly. Bien-Air micromotors are significantly shorter and lighter than conventional models. This results in optimal grip and balance as well as reduced hand fatigue. Bien-Air micromotors’ ball bearings are greased for life making post-usage lubrication expendable. Built to withstand repeated sterilization cycles, the strictest hygiene standards are upheld. The PM2-S70HD heavy-duty straight handpiece boasts an ingenious system of detachable guards. This allows you to attach the guard of your choice in an instant. 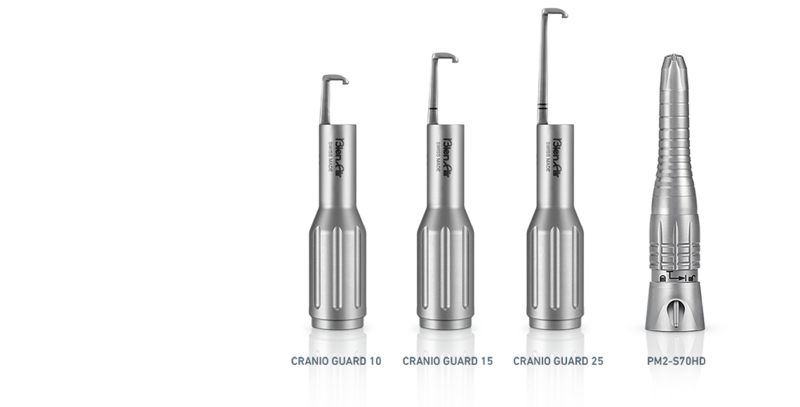 With the Bien-Air system there is no need for a craniotomy specific handpiece, you can just simply connect a craniotomy guard to your standard straight handpiece. 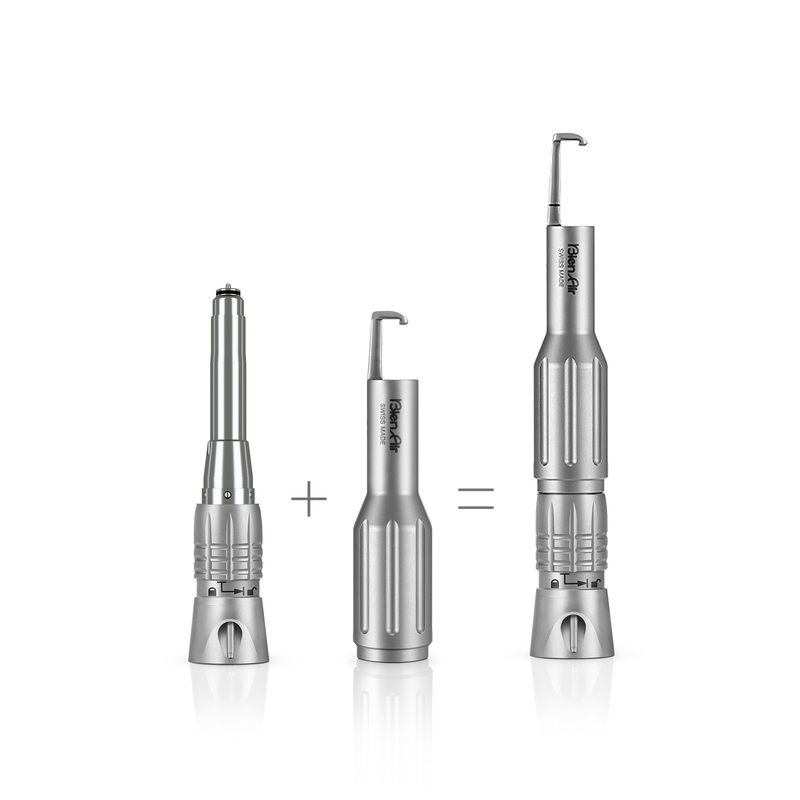 Our heavy duty handpieces feature a new internal irrigation system. The irrigation hose connection is at the base of the instrument and is internally channeled through to the distal end. This design helps to provide better visibility past the tip of your instrument and works to keep your handpiece from overheating during long procedures. Your handpiece will remain comfortable and cool throughout any lengthy or demanding surgical case. The PM2 burs are fitted with additional retentive locking grooves at the base. This means that the bur can be extended to 3 different lengths giving you more access to delicate areas while providing better visibility without compromising bur stability. The new triangular coupling prevents any loss of drive during heavy use. All the motor torque is transferred to the bur for greater performance. The PM2 handpieces are up to 51% lighter and 37% shorter than the old generation. Comfort and handling have never been better. Handling your instrument requires less effort, leading to greater accuracy in your movements and less fatigue. 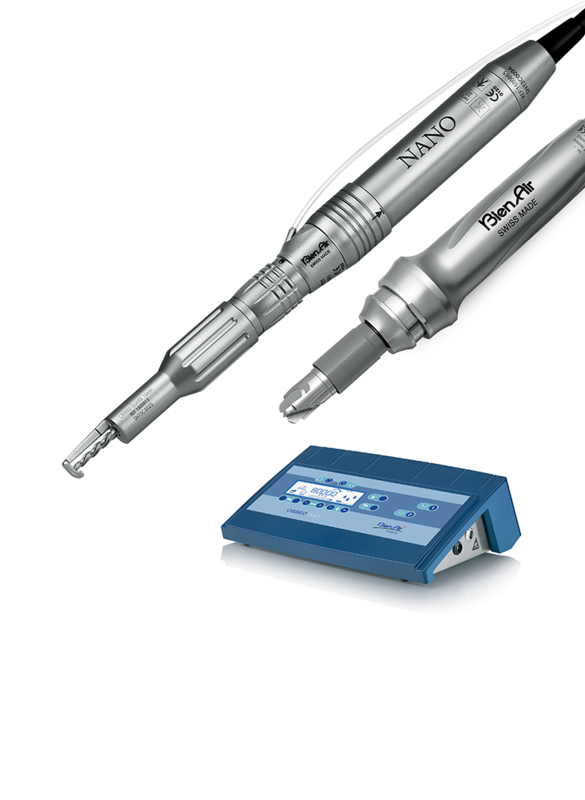 The Bien-Air PM2 standard connection offers a noticeable reduction in size and each PM2 handpiece is compatible with the new NANO, RAPIDO and BASCH 1 micromotors. The PM2 handpieces will win you over with convenient size, high-level performance and legendary reliability that has become the hallmark of our products. Instruments to match your expertise! The new generation of Bien-Air PM2 handpieces gives you the perfect combination of revolutionary design and state-of-the-art technology. For your comfort and that of your patients. 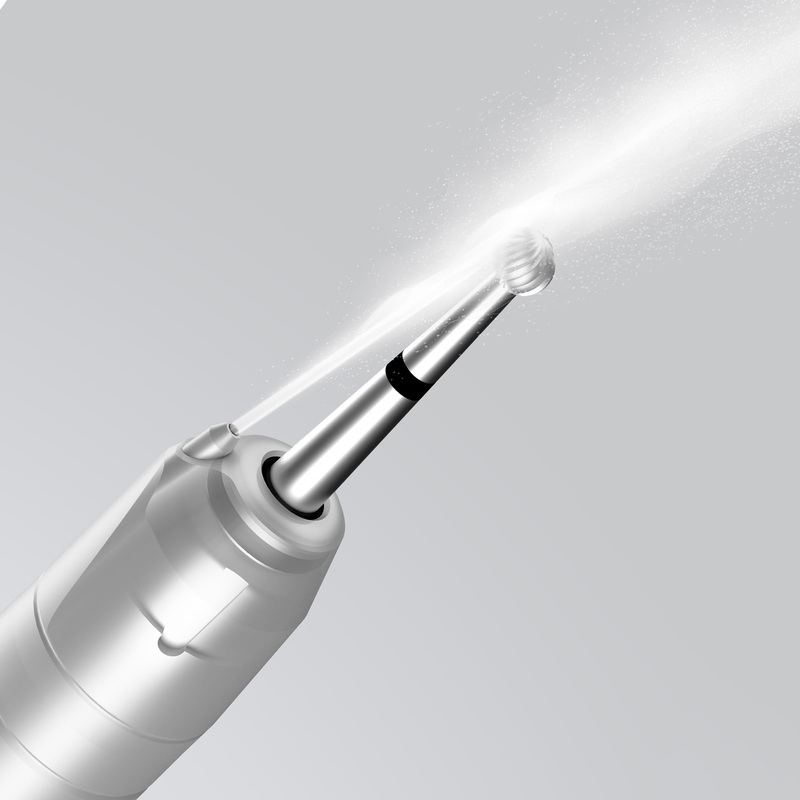 The Bien-Air PM2 burs are specifically designed and optimized for Bien-Air motors and handpieces. Our comprehensive NEUROSURGERY bur portfolio provides a wide choice of materials, designs and sizes to perform any surgery with precision and speed. and all the motor torque is transferred to the bur for greater performance. The new generation of PM2 burs are fitted with additional retentive locking grooves at the base. This means that the bur can be extended to 3 different lengths giving you more access to delicate areas while providing better visibility.